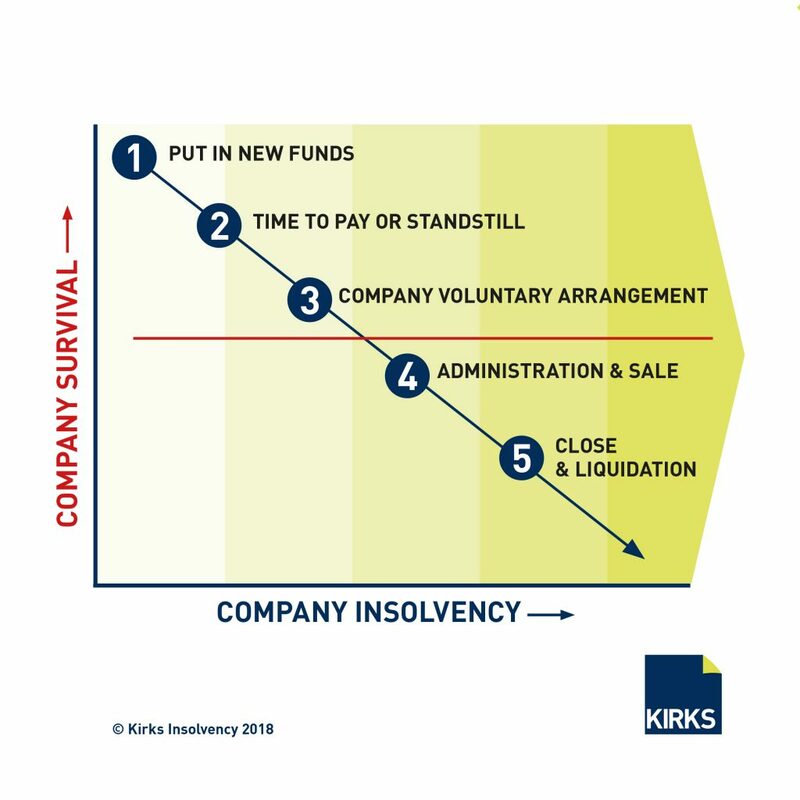 If you are a Limited Company there are many insolvency options available to you. Our aim is to assess your financial situation by asking questions to help you decide the best options for you legally. Often you may already know what you want to do. For example, you want to close and go into liquidation because you’re under pressure from HM Revenue & Customs. Other times you may not know what to do, that’s where we can explain the implications of the choices available. We will put your needs first and try to make sure whatever option you choose protects you. We have listed below the possible options for a Limited Company and some information about each one. Again, we can help you decide the right one for you if you are not sure. Administration: We obtain a Court order which stops all legal action including HM Revenue and Customs, banks, bailiffs and suppliers. This gives you time to evaluate your situation and decide if you want to keep trading, sell the business or close it down. Pre-Pack Administration: This involves lining up a buyer for the business just before it goes into administration. It means the business can usually carry on with minimal disruption. It can be sold to an unconnected buyer or the existing directors. Company Voluntary Arrangement (CVA): If your limited company is viable but has current or historical problems that have been solved, this option freezes all current debt, allowing you time to pay it back. You can then continue trading with the same suppliers and company name. Typically these arrangements last for 3 to 5 years, interest is frozen and not all of the debt is paid back. We take over communication with your creditors regarding the debt owed so you can carry on running your business. Our aim is to take the pressure off of you. We will draft all of the documents needed to get the court order and be there every step of the way. Liquidation or Creditors Voluntary Liquidation (CVL): We’ll handle the paper work and deal with creditors and shareholders if your business is not able to be saved. This results in the closure of your company (but does not stop you starting a business again). Compulsory Liquidation: If a creditor or directors of a defunct company has applied or has issued a winding up petition we help liaise with outstanding creditors. Members Voluntary Liquidation: This form of liquidation is used for solvent companies. It allows the shareholders to pay 10% tax on the remaining funds rather than income tax on dividends. A Members Voluntary Liquidation allows the shareholders to claim Entrepreneurs Relief. We will draft all the required paperwork and meet with you to explain the process. Together we will decide upon a time plan so you can clearly see when the company will be dissolved, when the money will be paid to you and how long this whole process will last. Informal: We assist you with your business finances without using any of the above procedures. Typically we may help you refinance or agree an amount of time to pay key creditors such as the HMRC or find you a business angel who makes an investment. 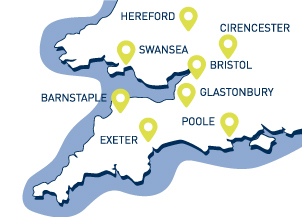 We arrange a meeting with you to discuss and explain the options available to you as a limited company, along with our recommendations (this initial meeting is free of charge). With all of the available options our aim is to take the pressure off you and deal with your creditors (the people you owe money to). What is a Creditors Voluntary Liquidation?